First announced in February 2013, Google Adwords began offering Enhanced Campaigns. Over the past couple of months, users have been able to educate themselves and prepare for the inevitable transformation and conversion to the new style of campaign. The underlying principles of a well-oiled paid-search Adwords campaign are to make ads as relevant and useful for a specific group of users, while making the management of these ads streamlined and efficient. There are many significant changes that will be noticeable and implemented with the new Enhanced Campaigns. 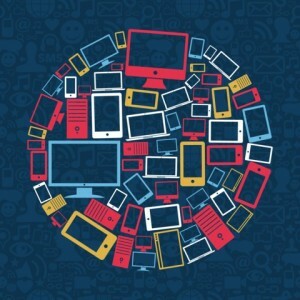 However, an overarching user behavior not likely to change, one Google aims to be better prepared to handle, is the multi-device, always-connected world we have become. On any given day, individuals use multiple electronic devices many times a day: desktop computers, laptops, smartphones, tablets, phablets, televisions--the list goes on. These devices have adapted to the ever-changing behaviors of their users, allowing and permitting extensive mobile connectivity. Because of this, Google has had to redefine what mobile means and find a way to present the right ad to the right user at the right time. As it becomes increasingly difficult to differentiate between devices, and identify whether or not a user is truly “on the go,” or actually just static and using a mobile device, Google is forced to become more contextually aware. With Enhanced Campaigns, if an ad is marked as “mobile preferred” the user will be able to see these mobile-specific ads whenever they are “on the go,” no matter the type of device they are viewing the ad from. This differentiation is vital because Google recognizes that user search behaviors will be different depending on when and where they are looking for something. As an example, if you are a brick and mortar clothing retailer and someone searches for your specific brand, the initial thought is if the searcher is static, they are simply looking to browse your website or shop online, whereas if they are “on the go,” they are more inclined to be looking for an address or location of the business; two instances that could warrant different ads and corresponding landing pages. On a similar theme, as Google attempts to prepare for a multi-device user base, they want to help simplify the campaign management process for advertisers. In the past, Adwords advertisers wanting to capture the right audience at the most appropriate time with an accurate ad were required to create separate campaigns for locations, devices, and times of day. However, with Enhanced Campaigns, the time spent creating separate campaigns, running and comparing several reports to see the effects of each dimension, can be better spent. Enhanced Campaigns allows advertisers to see the effects that differing devices, locations, and times of day have on overall ROI in one single campaign. The use of far more sophisticated multi-level bid adjustments by these three dimensions will help make this all possible. Change is never an easy pill to swallow. As always, it comes with its positives and negatives, but already Google is reporting its advertisers have found optimistic results and massive time savings with the new campaign structure. Whether or not you are someone that embraces change, as of July 22nd 2013, Enhanced Campaigns have taken over automatically. So make sure to review and optimize all newly converted campaigns by making adjustments and improvements when needed. If you ever find yourself needing further guidance with the transition, review these tips provided by Adwords, or contact us with your questions.